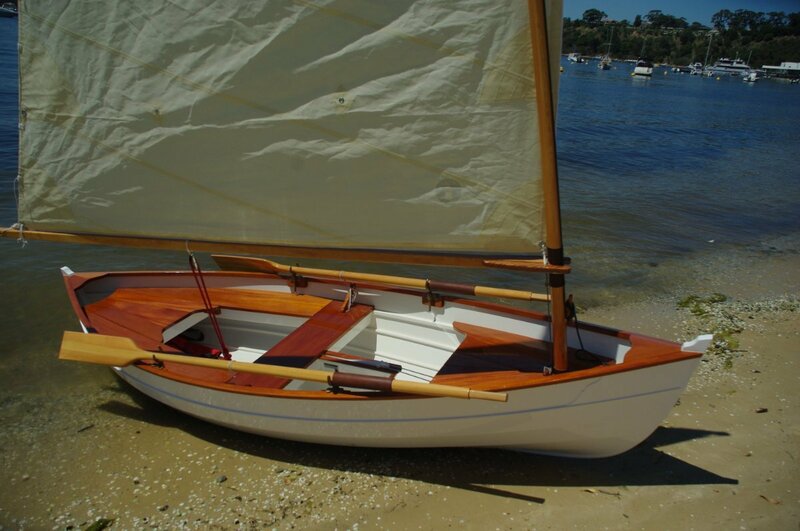 The boat I learned to sail in, early in the 20th century it feels like, had a standing lug rig and a timber hull; very Swallows and Amazons. That is why the Legacy 12 struck an immediate chord with me: this is a 21st century timber and lug boat. The important thing about this boat is less about what you can do with it than the making of it. Forget all you have heard about kit boats. 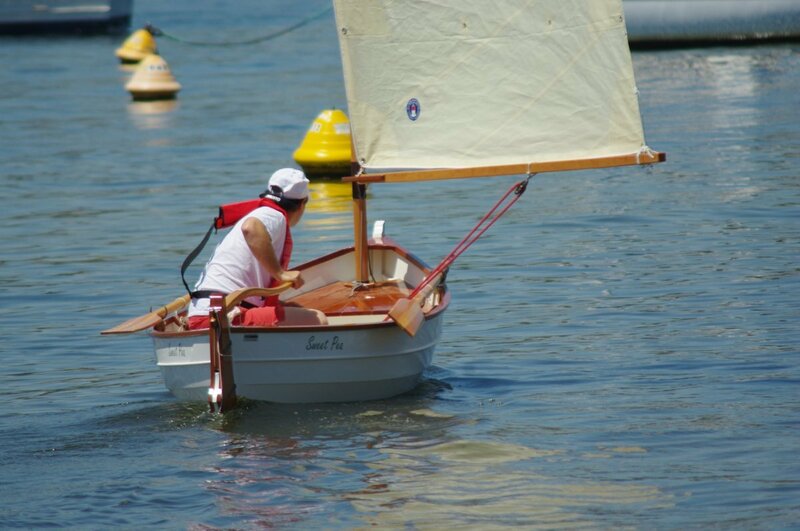 The last of the do it yourself dinghies were about speed and ease; stitch and glue marine ply and hard chine. The Legacy is about real boat building – round bilge and planks. That could sound frightening, which is why the deal is to spend two Saturdays at Legacy’s Bibra Lake workshop learning how to build a boat before you decide whether to get the kit. It is not necessary to be a skilled woodworker – just to be keen. The typical amateur builder likes working with tools, has built all the garden furniture he or she will ever need, and wants a project that will produce an heirloom. And a product that will be fun for the family to use. Legacies are communal Men’s Shed projects as well as individual efforts. Men with day jobs that confine them to offices seem particularly keen to work timber out of hours. And such timber. The list of materials in the kit reads like a geography lesson: Douglas fir, western red cedar, mahogany, Fijian . . . and, yes, marine ply for the hull strakes. But even that is from France and manufactured to the highest standards. The boat is double ended, has a pivoting rudder and pivoting centerboard, unstayed timber mast and glorious yellow metal fittings. To assemble the elegant and complex hull shape requires some tricky things to be done to the timber components, compound mitres and the like, but the builder does not have to do them. Building is a matter of assembly, not shaping. A jig is part of the kit, so there is no pulling of the hull into shape; you create the shape around the jig. Legacy’s demonstration boat is such a work of art it almost demands to be on display rather than in use. But it would not be real unless it was also a practical boat. It is no great load carrier - two adults is a comfortable load – and is not a sea goer. This is a pottering sort of boat for the river or estuary. But it is certainly a lot of fun. Rigging takes somewhere between seconds and minutes – what a difference from performance sailers – and that is a good start. It is also a rewarding boat to row, and practically effortless unless you really work at it. Paddling a kayak for exercise is common enough, but rowing is almost extinct. Yet it is far easier on an aging back. I could visualize rowing or sailing on a crabbing expedition, or towing a lure under sail. This is a boat to bring out the kid in you. Always with a boat you can find good reasons to wish it were a bit bigger. The Legacy is the size it is for an excellent reason: it will fit into a single garage – from which the car has been banished of course – with elbow room around it to do the actual building.